I love recycling & upcycling projects. 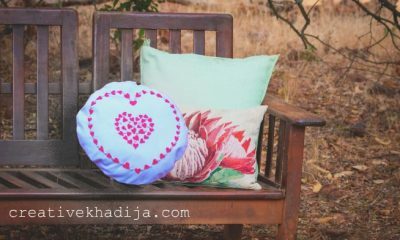 There is always a safe side while recycling stuff, You don’t need to worry about any craft fail. If the projects went trashy, No worries! It was already a trash though.. Haha! would you like to see what I have done from trash to treasure? 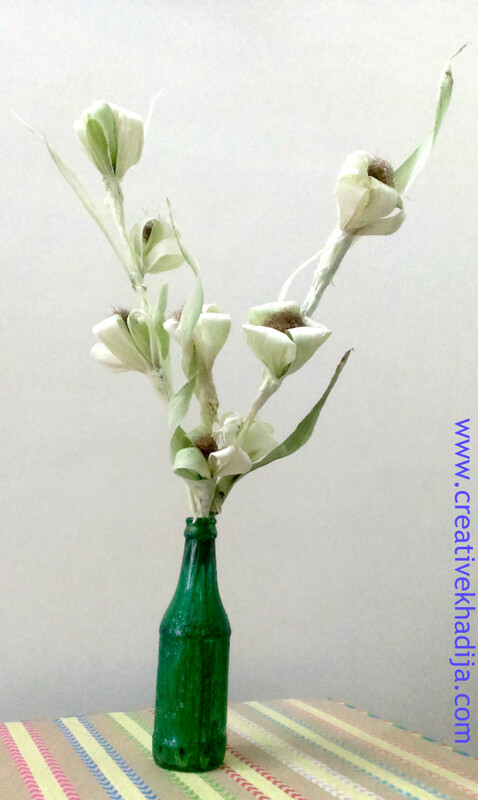 Remember I have shared a sneak peek of my today’s upcycling idea in my Corn Husk Flowers Making post. 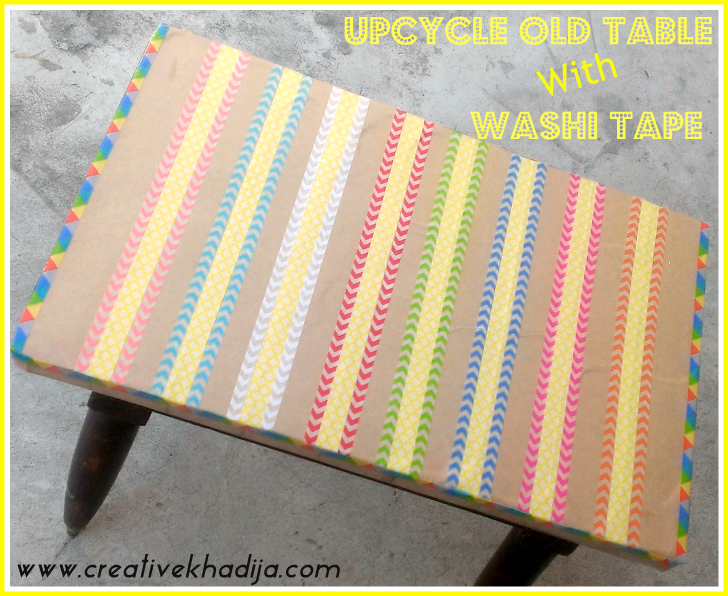 See How To Decorate an Old Table with Washi Tape. I hope you will enjoy this idea. I saw an old table in the store area. Suddenly there was an idea in my mind. I asked myself “Why not to reuse this table?” As I were already in need of a small table in my craftroom. So it was the perfect time to do it. So here it is what I have done! 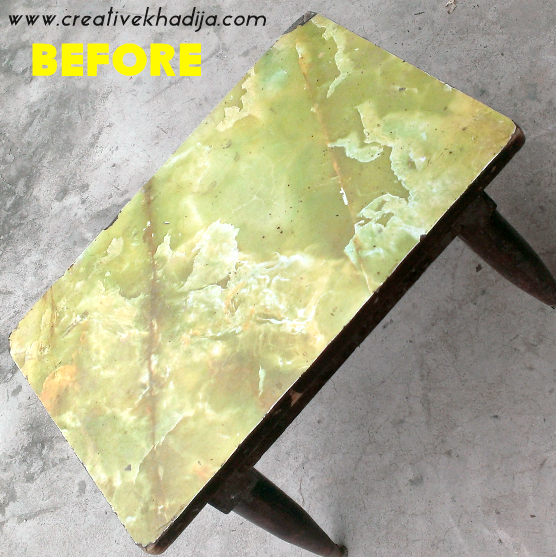 Have a look at BEFORE image, its surface was marble designed Formica sheet but a bit chipped from the corners of the table. For decorating this simple table, You will need a few supplies only! It will not be a time taking project as well. Hardly within half an hour this will be done easily! I cut some strips of paper tapes according to the size of table surface. 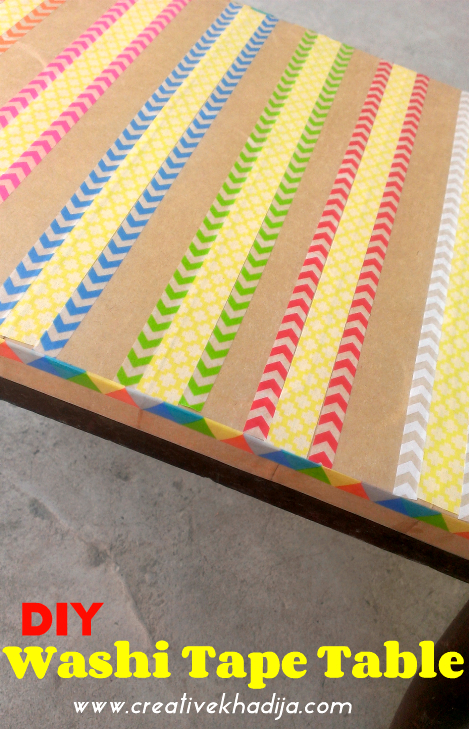 I coat the table surface with water & then glue & then started pasting brown paper strips on the table surface. Here I notice it was not perfectly pasted, the lines are visible awkwardly. Right? 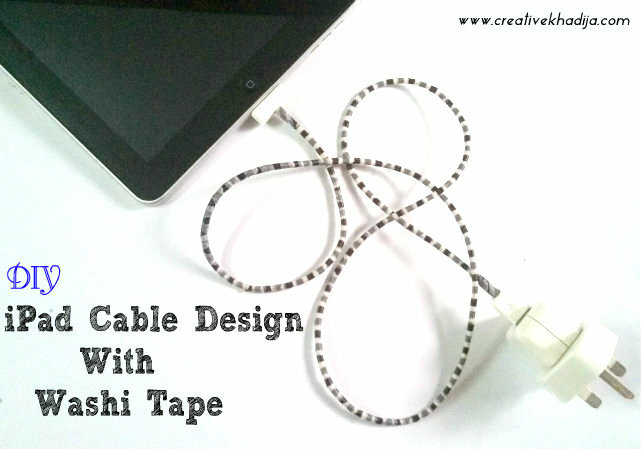 So why not to hide these with some washi tape? 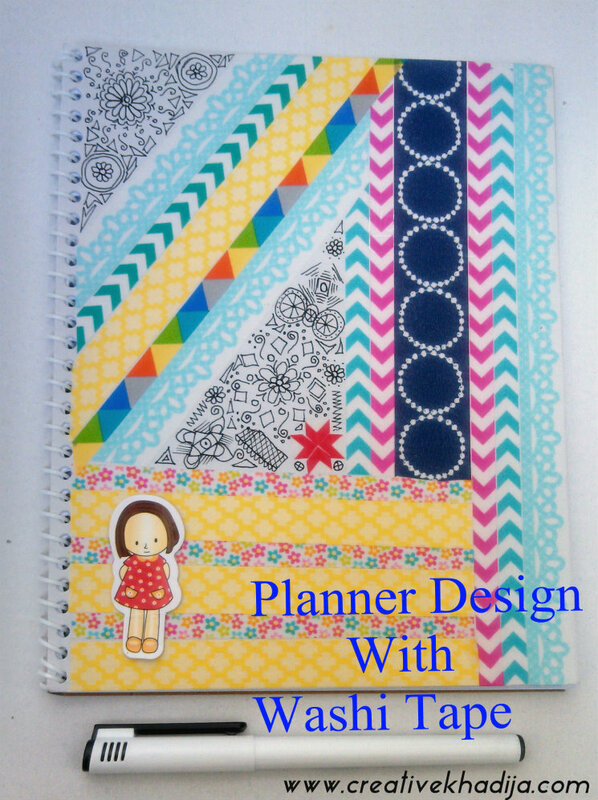 So I cover the awkward lines with colorful washi tapes of chevron design. It was super easy & quick idea. How is it? Looking fine now? Here is the AFTER image, looks good? It’s a very old table actually, It was hard to believe for my mother if its the same table. She didn’t recognize the table at her first sight. I am glad to see her response when she saw this trash item into something useful again. This table is now going to help me for placing crafty items on it. Well this one was not a perfect click though. 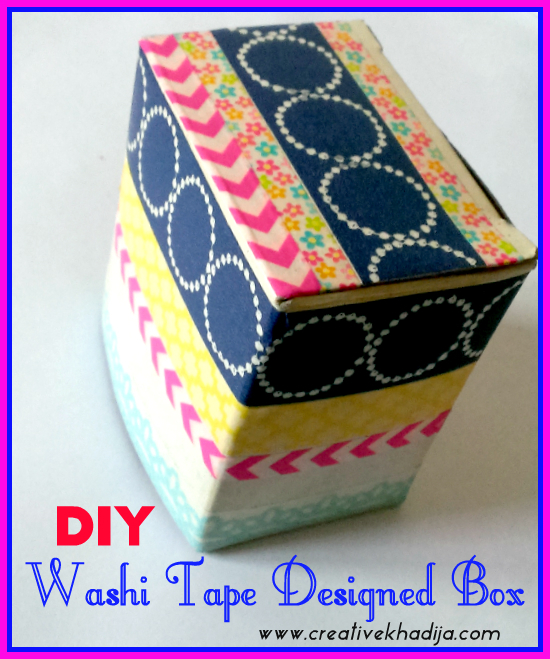 I have designed a box with washi tape. It was a small gift box turned out so colorful with a little effort. 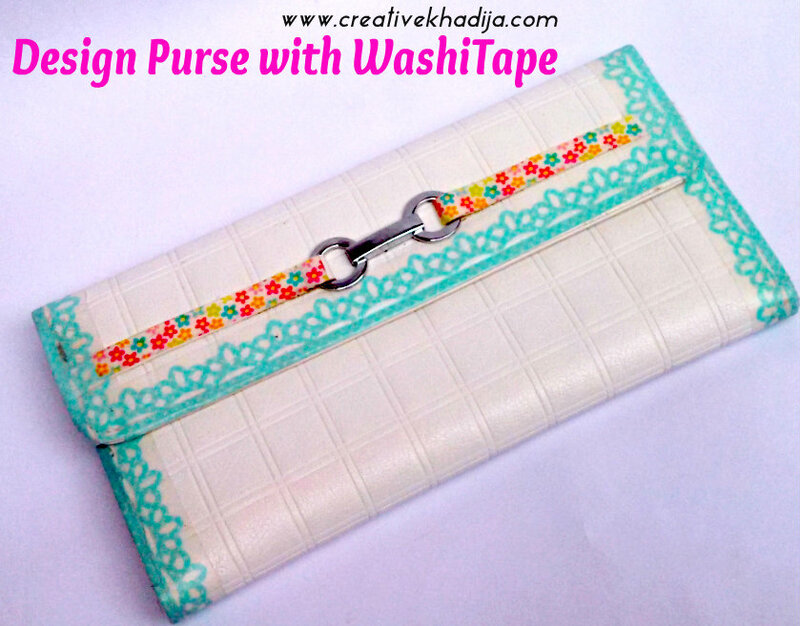 This white pretty clutch all the way from Spain is spiced up a little with beautiful washi tape from Singapore! 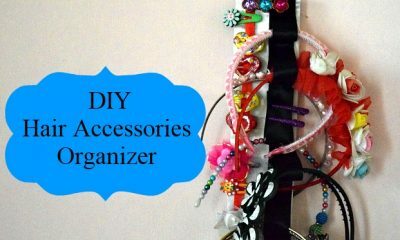 I hope you enjoyed my Today’s DIY idea, feel free to share this article at your social media with your friends. Sharing useful ideas is always fun! Yar this one was super easy but awsome idea. Really beautiful. I love this project! It turned out perfect! 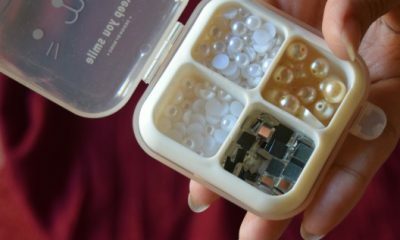 And with mod podge you made it durable… good job! Thank you so much. Mod Podge is always a good idea while working with crafts. What a huge transformation! I’m not surprised your mom didn’t recognize it . Looks a hundred times cuter. 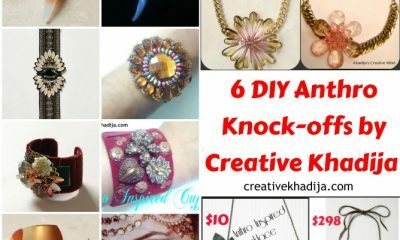 I love to see a big mod podge project because I know it is not just for little crafts. Oh Really Mich? It was just a teaser before starting a big project( Winks* ) Actually another project is in pipeline! I am glad you see read your appreciation :) Thank You! 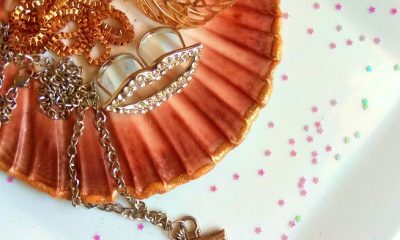 Hola guapa: No me cans0 de pasar por tu blog y ver tus magníficos trabajos, siempre impregnados de ese estilo tan personal que a mi me encanta. So sweet of you Maite, I thought I bore my readers sometime with my gossip but its great to know that you are enjoying this fun! Keep visiting & have a great day my friend. Who knew? You are opening up a whole new world to me! Think of the possibilities! Rock on! What a great idea! 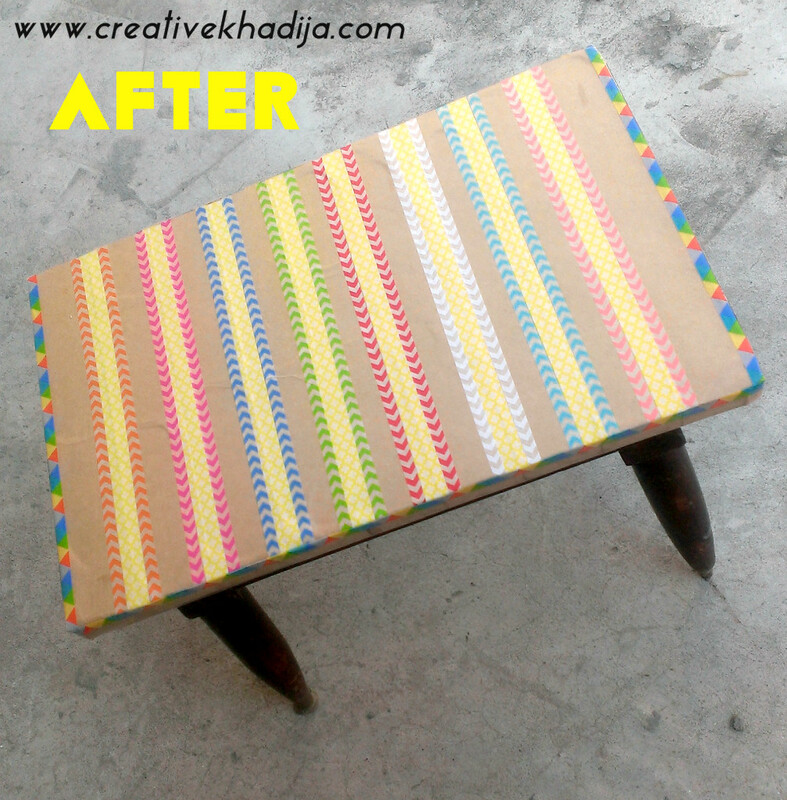 I love how this table transformed, now it’s way better than the original! 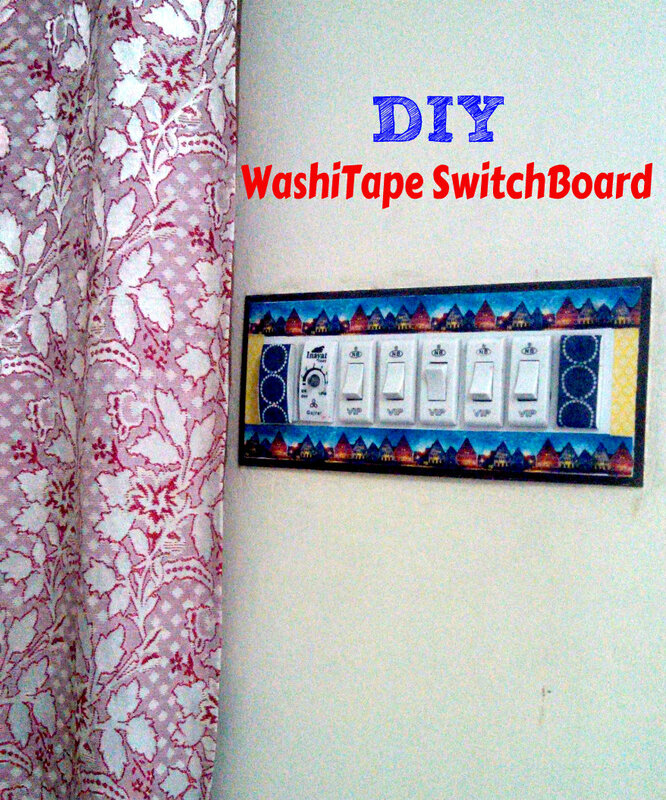 Thanks Ntina, It was easy yet fun upcycling. I am glad to know you liked! Have a great Friday. 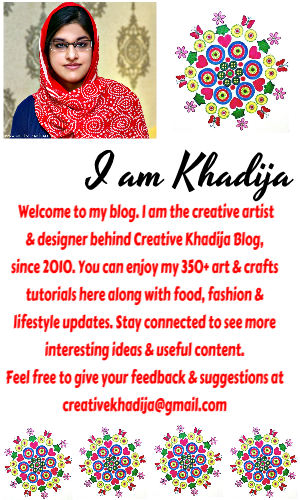 Wow Khadija, love the result!! And protect it with ModPodge is an excellent idea. Hi, Thanks for enjoying my idea. Mod podge is always a good solution :) I am glad you liked it. Hey! Lovely work! Can u tell.where can i get mod podge and washi tape in pakistan? Thank you Maham. 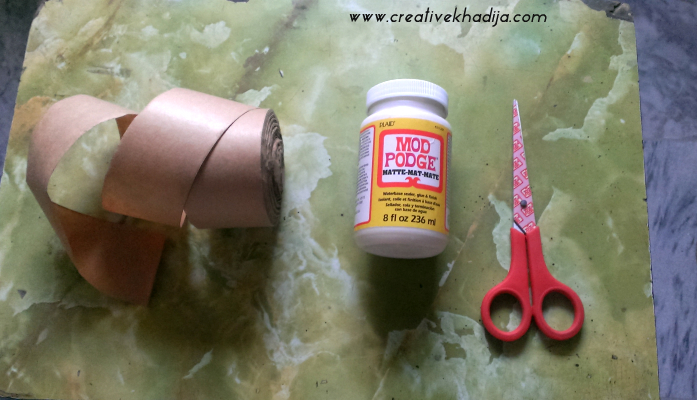 WashiTape & Mod podge both are not available here in Pakistan. I got my washi tape from Singapore & mod podge from USA. deal and I realised that is good written, fast to understand. All good!